And that smugness will continue through 60 per cent of the panel this week, after Harry, Digger and myself bagged the first perfect sevens of the seasons. Mr Parkes would prefer you didn’t look at his results from last week on the panel below (it’s the column on the far left, the one with the three rows of red), while Nobes got sucked into the same vortex that saw The Crowd rather stunningly select the Reds, and with more than 55 per cent of the vote. It’s nothing but green in the Digger-Brett-Harry part of the panel though, and long may that continue. For at least another week, if nothing else. And even if only in my column, if I’m forced to narrow it down. Only six games this weekend, and no game in Australia on Saturday night, which seems ludicrous. And at the risk of repeating myself, it really does look like all six games could go either way. Hopefully this ends the same way as the last time I wrote that. The Chiefs will wake up at some point but I am hopeful it won’t be this weekend. The Canes’ form should be good enough for a ‘by plenty’ result. I will back the Brumbies at home as they seem a tad more cohesive and I am picking they will be more desperate for this result, while the Stormers at home after a week’s rest should be too much for a travelling Jaguares side. Sunwolves and Reds is a real head scratcher for me, I just do not know where to land. In the end I will suggest the Reds as I am unconvinced of the Sunwolves consistency or ability to deal with travel as a group. Of course the same could be said of the Reds, but I suspect their size advantage will also pay dividends. I do fancy the Highlanders to cause a boil over at home but the Crusaders form is simply too hard to ignore, while the Lions at home also tend to be too good for visiting overseas sides. 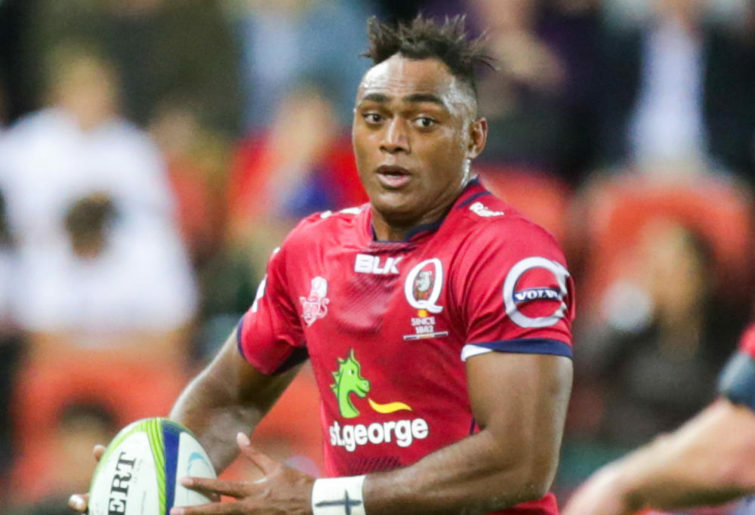 SURE THING: Tevita Kuridrani will set things right with his home goal post and will even the ledger on that score, while turf control should not be a factor this weekend. 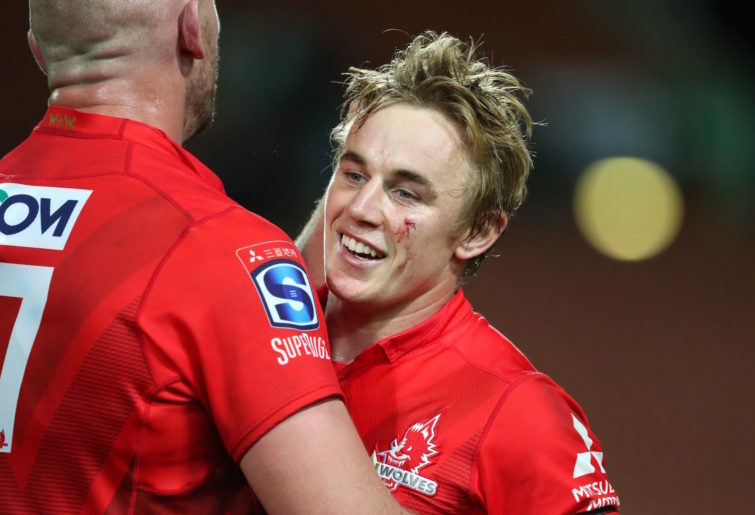 TIPS: HURRICANES, BRUMBIES, STORMERS, REDS, CRUSADERS, LIONS. Goalposts are more than ever a part of general play in rugby. 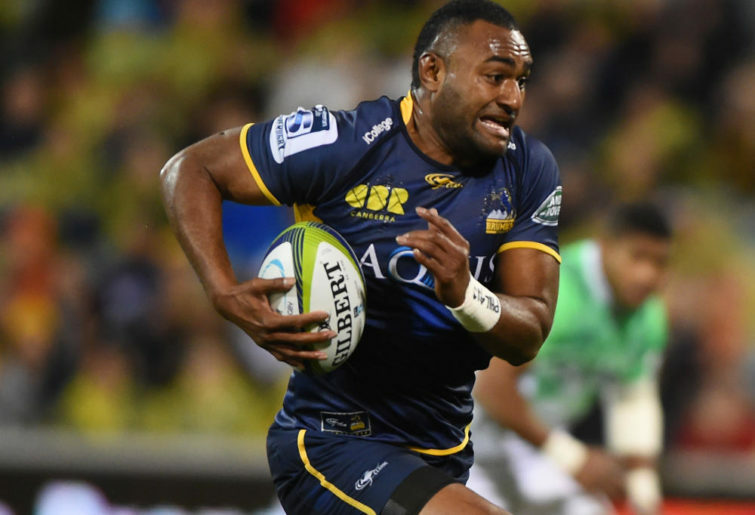 This week in practice, Tevita Kuridrani must show his coaches his plan to elude the poles. BBBBB hits the posts on 35 per cent of kicks. And cheeky scrumhalves have found a way to use padding to score. The Chiefs just don’t seem interested. The Waratahs have structural flaws which are being papered over, but the canny Canberrans will expose them. The Stormers are among the most difficult teams in World Rugby to beat at home, in their Valhalla. The Reds just have to win. Sometime. Why not now? The Crusaders will bore us with perfection and a brilliant new 15. And the Lions will score 40 or more; the Rebels can’t out-Saffa these Saffas. SURE THING: There will be controversy in Canberra. TIPS: HURRICANES, BRUMBIES, JAGUARES, SUNWOLVES, CRUSADERS, LIONS. The Chiefs have wiped the whiteboard clean of all 2019 plans in naming Damien McKenzie back at fullback, but I’m not sure how the Chiefs will break their duck this weekend. It’s like they’re trying to out-Blues the Blues this year. Brumbies-Tahs in Canberra is going to be a grind, and I reckon it comes down to who has the most improvement in them from last week. Even without Pocock, the Brumbies are good enough to drag this game into the set piece slugfest that would be to their great advantage. Teams gets better the second week in South Africa, it’s just the rules. And who knows which Stormers will return to Newlands after the bye? Or which jerseys they’ll wear? But I do know which Sunwolves will turn out in Tokyo, and it’s one that will probably have too much running for the Reds. The Reds weren’t terrible last week, but they didn’t show me that they can cope with teams that come at them fast, either. The southern derby will be a ripper on Saturday night/evening/morning depending on where you are (or Wednesday night, I think, for Nobes), and I give the Highlanders a huge chance. A massive chance. Confidence enough to tip them, though? Nope, not quite. And I’ll finish with the Lions and a challenge for the Rebels to make me pay for it. SURE THING: Ever Blues-like, the Chiefs will break their duck this weekend, just reinforcing both their Blues-ness in 2019 and the blues I get when tipping the Blues. Having perfect rounds in this edition of Super Rugby is something superlative, I congratulate those who made it. The last round the locals took the upper hand and the way this is being considered, visitors should be the stars in this coming weekend. It would be good if the Chiefs won this game at home but I think the Canes have more and will take the duel. As I’ve been saying several times, I’m not attracted to the way the Brumbies play and although the Waratahs did not show anything interesting, I think it’s time they’ll do it. Gonzalo Quesada knew in advance that the game against Lions was going to be the most difficult of the tour through Africa because of the height and its defensive system, and saved several players for the game with the Stormers. It’s a 50-50 but since this is a round of visitors, I’m going for the Jags. I think it’s time for the Reds to win and I see them as winners in Tokyo. Crusaders are the safest bet whenever they play so I go with them. Finally I think that Lions at home despite playing with a lot of youth will take the match against the Rebels. SURE THING: Very close matches on the scoreboards. All of the favourites getting up last week meant a long slide down a slippery snake. Time to find a few ladders. The Chiefs will eventually emerge from their hole, but not this week. It feels like D-day already for the Brumbies, who were devastated to lose last week in Melbourne. Let’s bank on Pocock being fit to play and the desperation factor being enough to get the Brumbies home. I still don’t have a handle on the Stormers, and the Jaguares will have a stronger side in this week. The visitors in a tight one. The Sunwolves’ discipline issues will have been addressed – expect them to be much better back at home against the still winless Reds. And how can you tip against the Crusaders and not expect to be classified as clinically insane? Rebels coach Dave Wessels is a ‘big picture’ guy, and the official position is one of support for the Wallabies camp earlier this week. But to have his leading players straggling into Johannesburg a couple of days beforehand is no way to prepare for the Lions. Get your votes in now – The Crowd’s tips will be revealed Friday afternoon AEDT. Who have you got, Roarers? Who gets your tip this weekend?